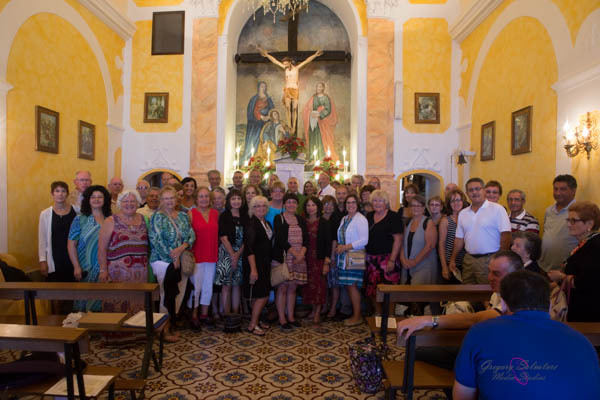 In September 2016, 5 Holy Cross Society members along with 39 other travelers visited Santo Stefano di Camastra. 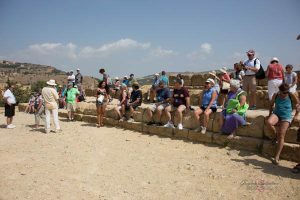 While there, the group participated in a variety of events. 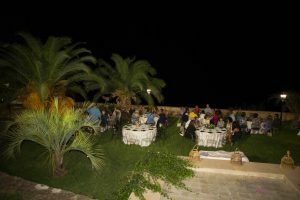 The first night, Friday, was a terrific dinner at the local museum in Santo Stefano which featured great food, music and company. 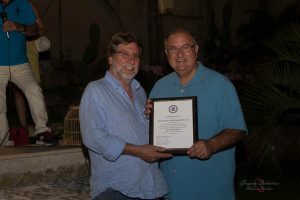 Mayor Panto presented the town with a plaque honoring the traditions and customs of Santo Stefano di Camastra. 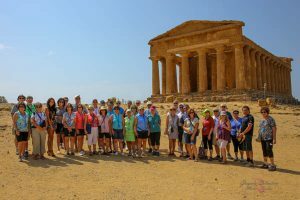 Saturday we traveled to Agrigento. We saw the ruins of temples. 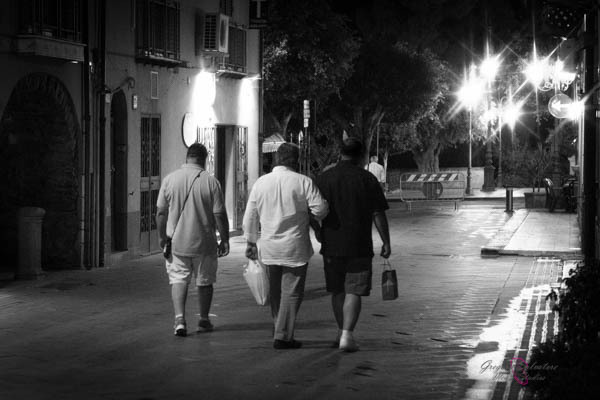 That evening in Santo Stefano, we enjoyed “White Night”. White night is the tradition of staying out late and not sleeping. While everyone went to the hotel, I enjoyed a concert by Los Locos in the center of town. You do remember the Macarana right. 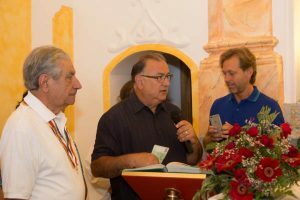 On Sunday, The members and delegation attended mass at Letto Santo Sanctuary outside of Santo Stefano di Camastra. 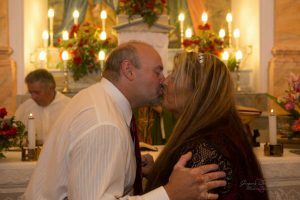 The mass was ended with a donation from Holy Cross Society to the church our traditions have derived from as well as a blessing of the marriage of Dave and Teresa Diaello. The evening brought another mass for the launch of the celebration of the Madonna. Mass and a procession carrying the Madonna statue through town punctuated with a Fireworks Show. 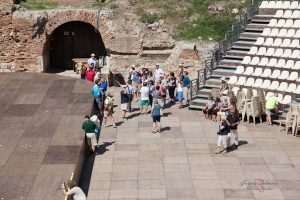 Monday was a trip to Taormina, we saw the Greek/Roman Theater, ran into other travelers from Easton (yes really) and saw Mount Etna in the distance. 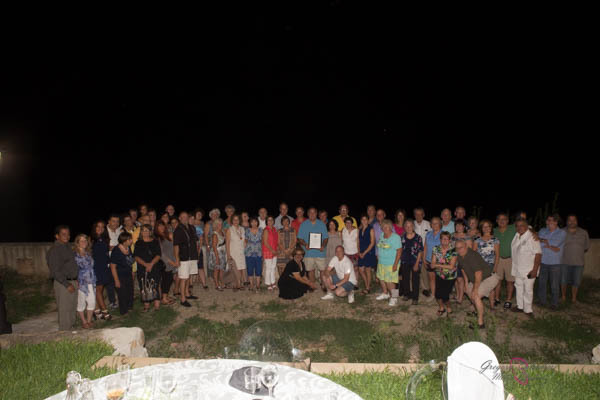 Upon returning to Santo Stefano, we had a wonderful farewell dinner with our Santo Stefano friends and the town’s Mayor. 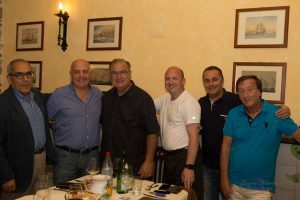 The trip was a great success and everyone has a special place in their heart for the town of Santo Stefano di Camastra.